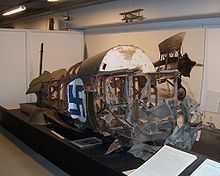 Gamecock Mk I : Single-seat fighter aircraft for the RAF. 90 built. Gamecock Mk II : Single-seat fighter aircraft with revised wing and tail. One new built for RAF with another Mk I converted to Mk II standard. Three were three exported to Finland in 1928, with a further 15 built under licence in Finland from 1929-1930 as the Kukko. 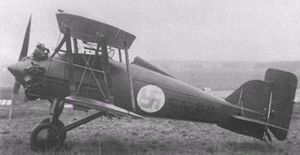 Gamecock Mk III : One RAF Gamecock Mk II modified with lengthened fuselage for spin trials. Green, William and Swanborough, Gordon. "The Era-Ending Gamecock". Air Enthusiast, Number 21, April-July 1983.Bromley, Kent:Pilot Press. p. 1-8, 58-62. ISSN 0143-5450. Taylor, M.J.H. (editor) Jane's Encyclopedia of Aviation. London:Bracken, 1989. ISBN 1 85170 324 1.